If Michael B. Jordan wanted to retire from acting, he could probably make a nice living for himself selling workout supplements and fitness programs after his transformation in this year’s films Black Panther and Creed II. 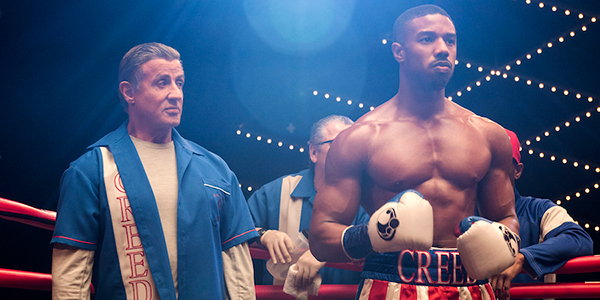 In the latter film, Michael B. Jordan reprises Adonis Creed and looks every bit the part as a championship level, heavyweight boxer, and with good reason. The actor put on a whopping 20 pounds of muscle for the role. It is not easy to get those kinds of gains even with the kind of help and resources Michael B. Jordan enjoys. Money doesn’t do the lifting or the cardio for you, it takes a ton of work to pack on 20 pounds of muscle. Clearly Michael B. Jordan was willing to do that work to achieve this kind of transformation. The results speak for themselves too. In the trailers for Creed II, Adonis Creed looks positively yoked with a granite-carved physique. Although it also required a ton of work, Michael B. Jordan’s Creed II physique is not the same as the one he had for the villainous Killmonger in Black Panther. Michael B. Jordan looks more cut as Adonis than N’Jadaka, and that’s the result of the training differences Corey Calliet described to Yahoo Lifestyle. Black Panther‘s role required size, which meant a lot of weight lifting. For Creed II, the actor did two-three full body workouts a day, and these workouts were way more cardio intensive. The diet was also very different as well to shred away all the excess and make for that boxer aesthetic. That’s part of what makes Florian Munteanu’s Viktor Drago so terrifying. As huge and muscle-bound as Michael B. Jordan looks in the film, he’s still dwarfed by the son of Ivan Drago. That should make for great drama in the film as Adonis has to face an opponent that has physical advantages he does not.